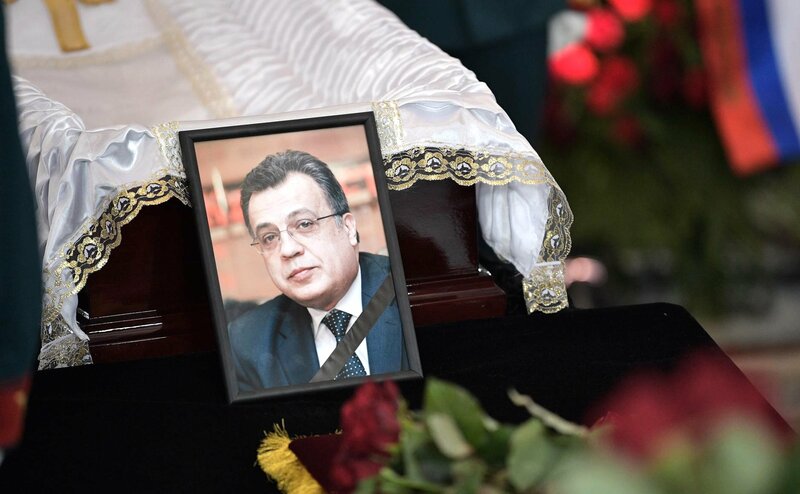 Russian Ambassador to Turkey Andrei Karlov was buried at Moscow’s Khimkinskoye cemetery on Dec. 22. The diplomat, who was posthumously awarded the title of Hero of Russia, was laid to rest with military honors as the guard of honor stood and a military band played beside his casket, which was draped in the Russian state flag. Karlov was shot down on Dec. 19 while he was delivering a speech at the opening ceremony of a photo exhibition in Ankara. According to Turkey’s authorities, the attacker was neutralized by security forces. The attack also left three people wounded. Russia’s foreign ministry officially declared it a terrorist attack, while the Investigative Committee opened a criminal case labeling Karlov’s assassination an act of international terrorism.